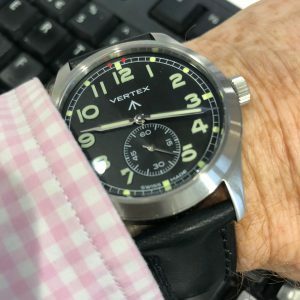 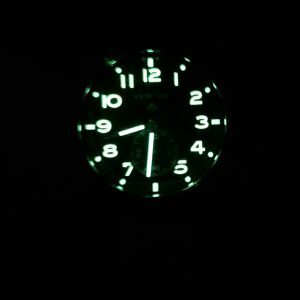 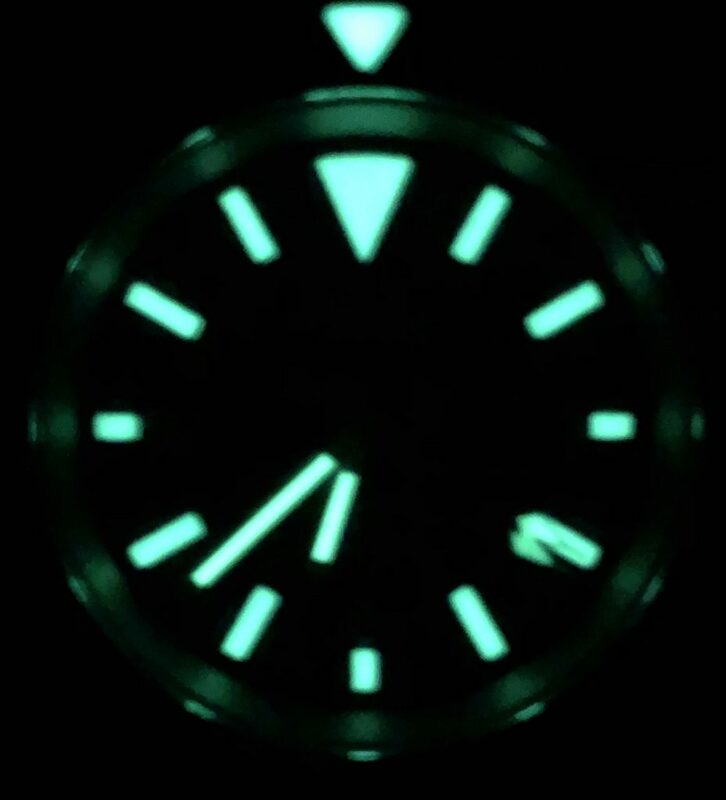 My time with the new Vertex M100 prompted me to investigate the famous “Dirty Dozen” watches a little further. 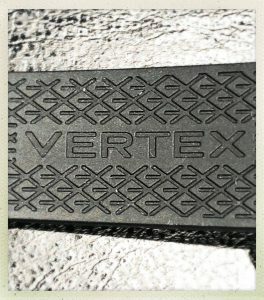 Fortunately, the information is really easy to find. 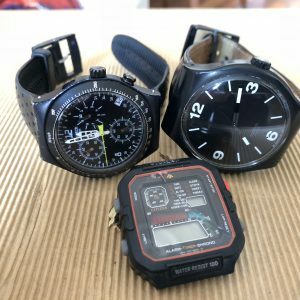 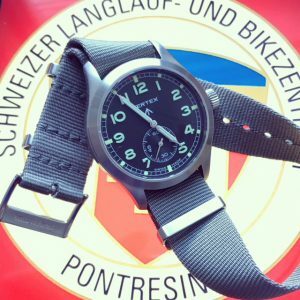 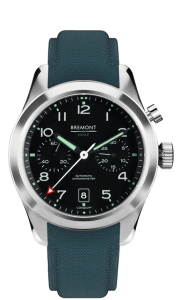 Despite none of these watches being from British brands and them being made in Switzerland I feel justified in writing about them on this blog as the watches were ordered and specified by the British government. 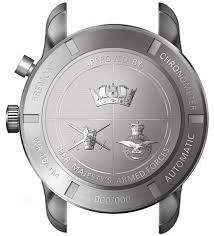 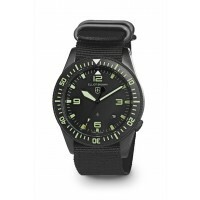 During the Second World War the British armed forces, like their equivalents in other nations, needed reliable watches for their service people. 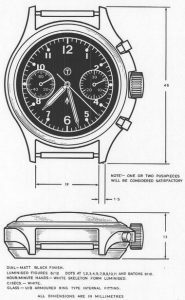 The British industry was converted to the production of war materials, so the War Department placed an order for custom-built wristwatches with twelve Swiss manufacturers, Buren, Cyma, Eterna, Grana, Jaeger-LeCoultre, Lemania, Longines, IWC, Omega, Record, Timor, and Vertex. 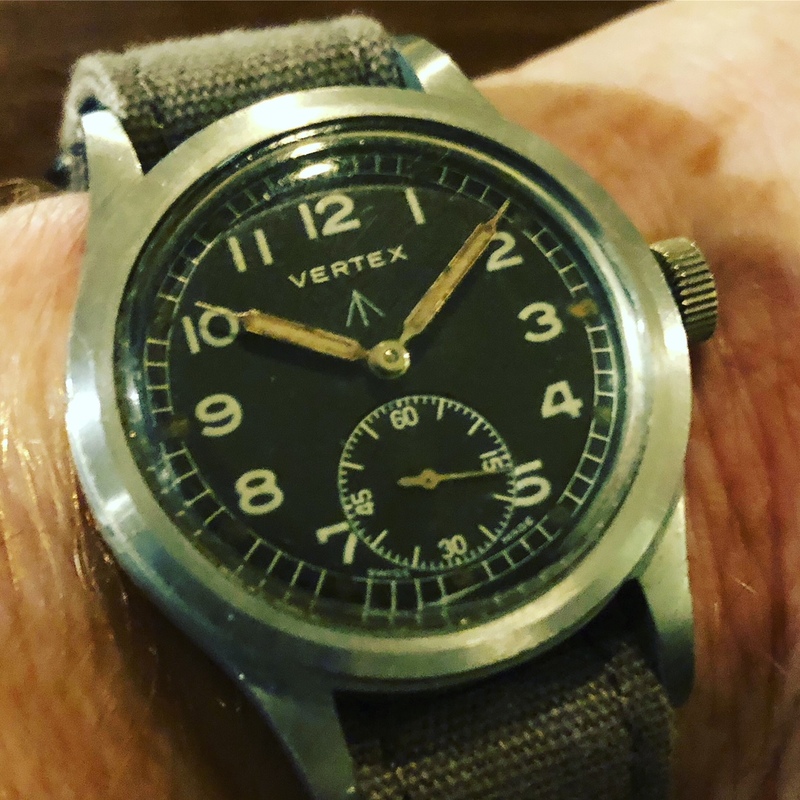 These needed to be accurate, reliable and durable, which meant they had to be regulated to chronometer standards, and also be waterproof and shockproof. 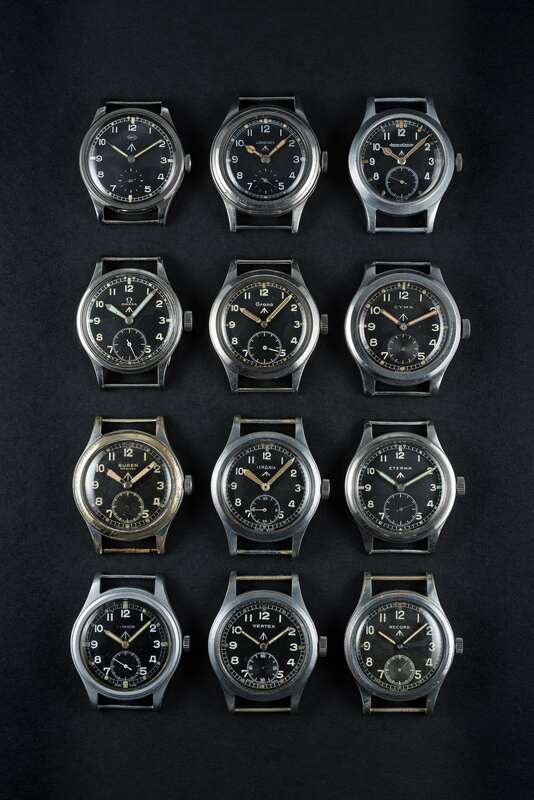 More specifically the watches also had to have a black dial, arabic numerals, luminous hour and minute hands, luminous hour markers, a railroad minute track, a shatterproof crystal, and a stainless-steel case. 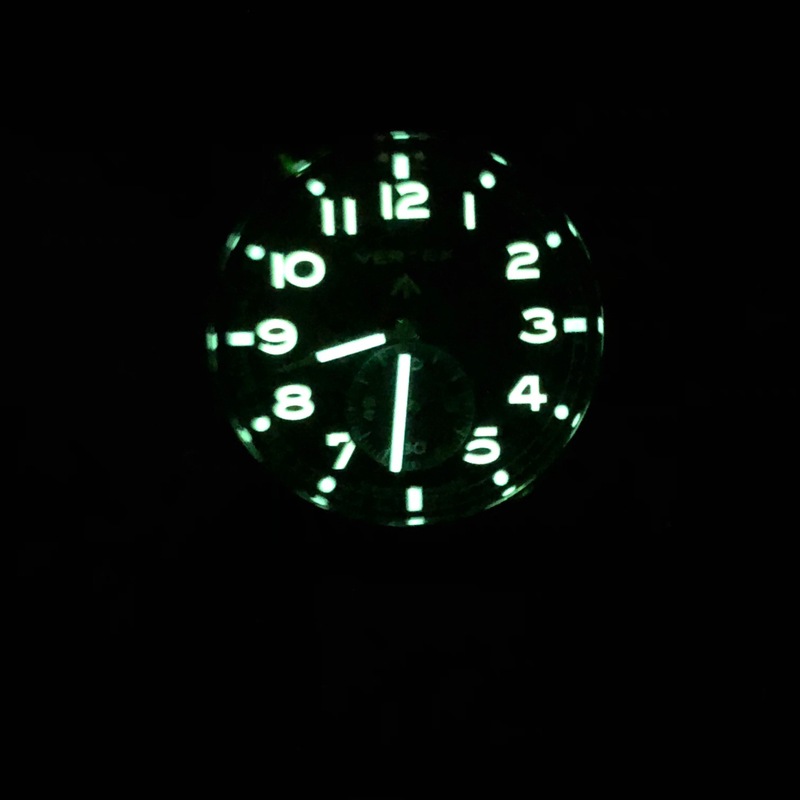 Powered by a 15-jewel movements. 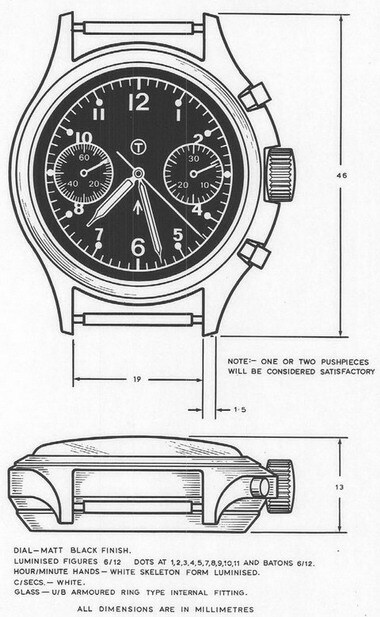 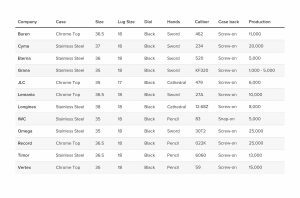 This specification was known as WWW – watch, wrist, waterproof. 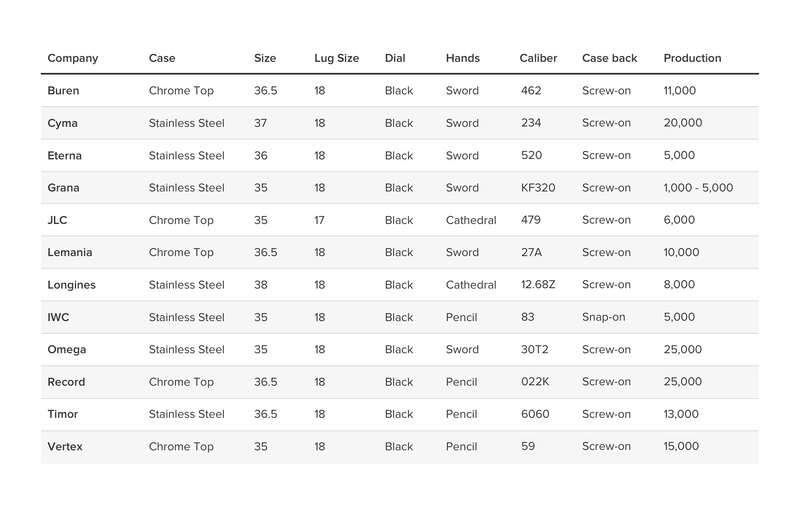 The different manufacturers delivered different quantities. 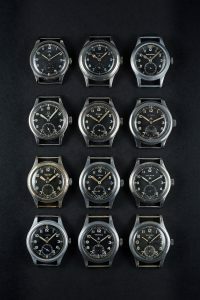 The rarest being Grana with between 1,000 to 5,000 pieces whilst the numbers for Omega and Record reached 25,000 each. 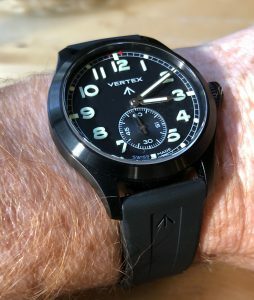 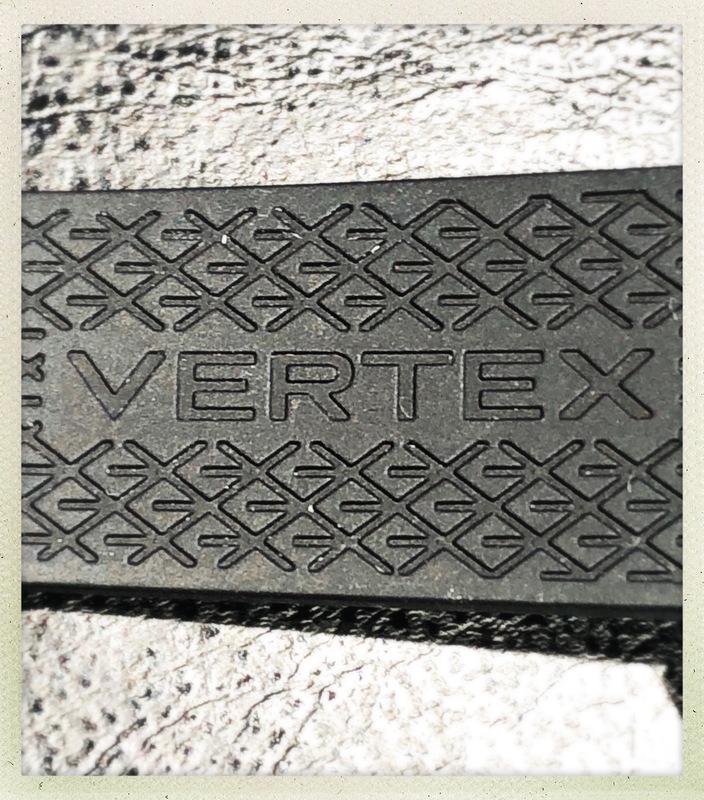 I will now be keeping my eyes open for a Grana or failing that a nice Vertex which would give me the opportunity to also buy one of the new M110s. 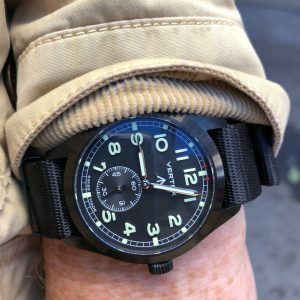 GasgasBones is a small company started by Chris Evans. 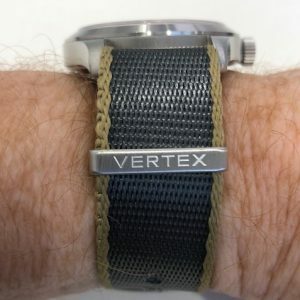 Chris served nearly 25 Years in the Royal Air Force as a Survival Equipment Fitter. 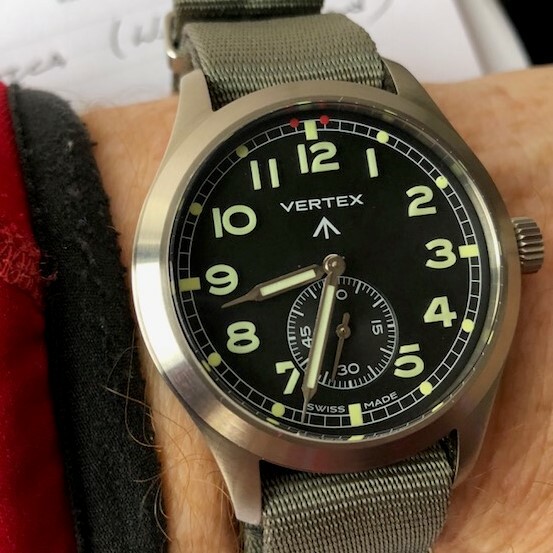 As a Survival Equipment Fitter he was responsible for the service, repair and rectification of man carrying parachutes, harnesses, Brake parachutes, Night vision equipment, helmet mounted sights, some ejection seat components, lifrafts and Apache flying clothing and lots more ! He did tours in The Falklands, Kuwait, Oman, Jordan and Afghanistan along with a ton of shorter detachments in other counties along the way. 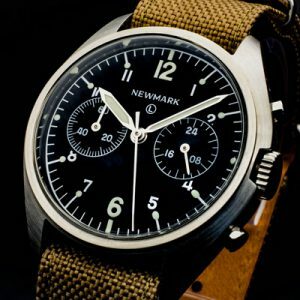 As GasGasBones he has been making bespoke nylon watch straps for over seven years. The first velcro strap not long after getting his first Omega Speedmaster Pro. 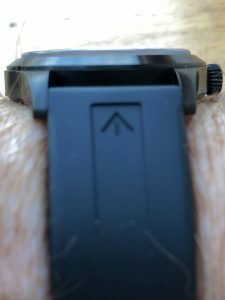 Since then he has built up a great range of straps that are pretty much unique. They suit many tool watches and have been used on anything and everything in the past years! 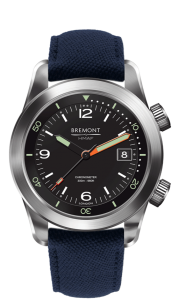 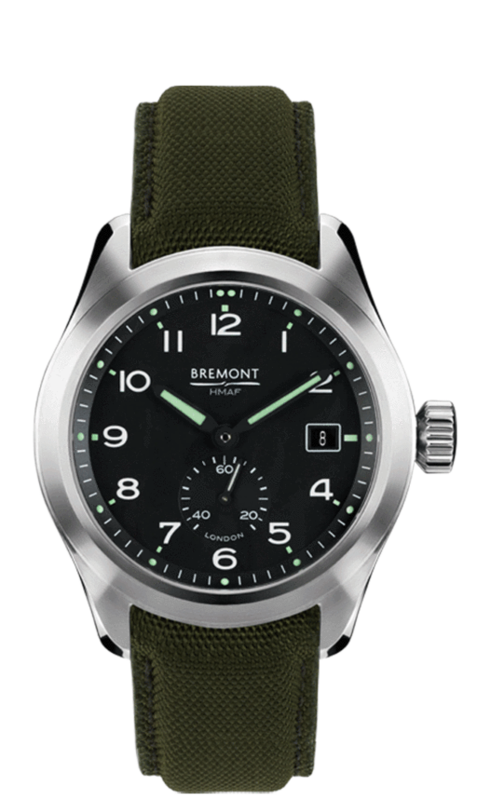 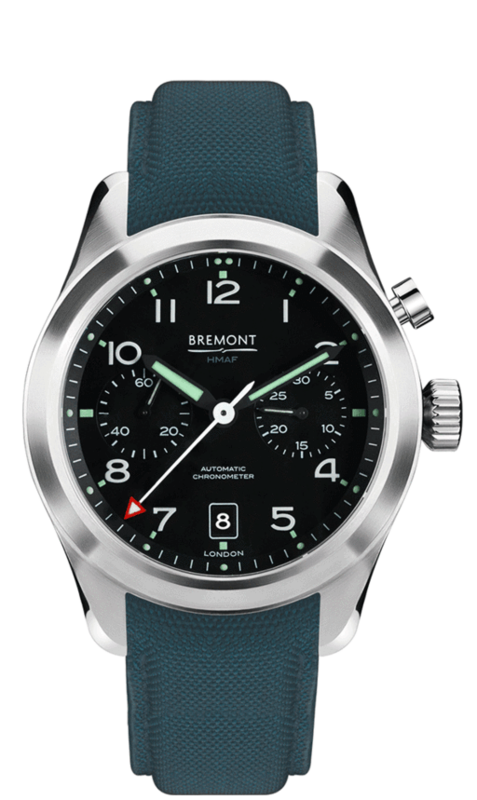 From the introduction of the Bremont MB range of watches and for around 3 years after, Chris produced the nylon straps issued as the secondary strap included with the MB watch. 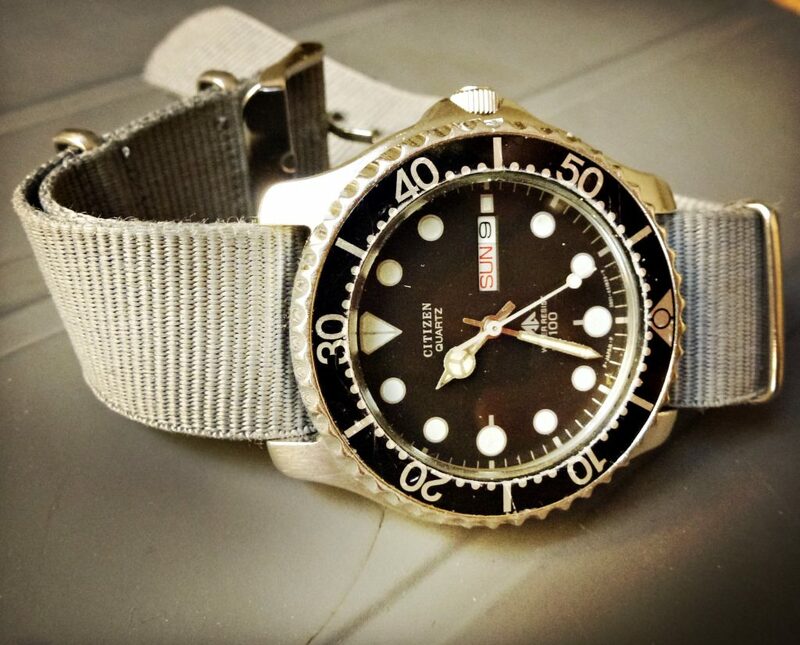 Due to family commitments in late 2011 he unfortunately had to cease in manufacturing the standard MB straps. 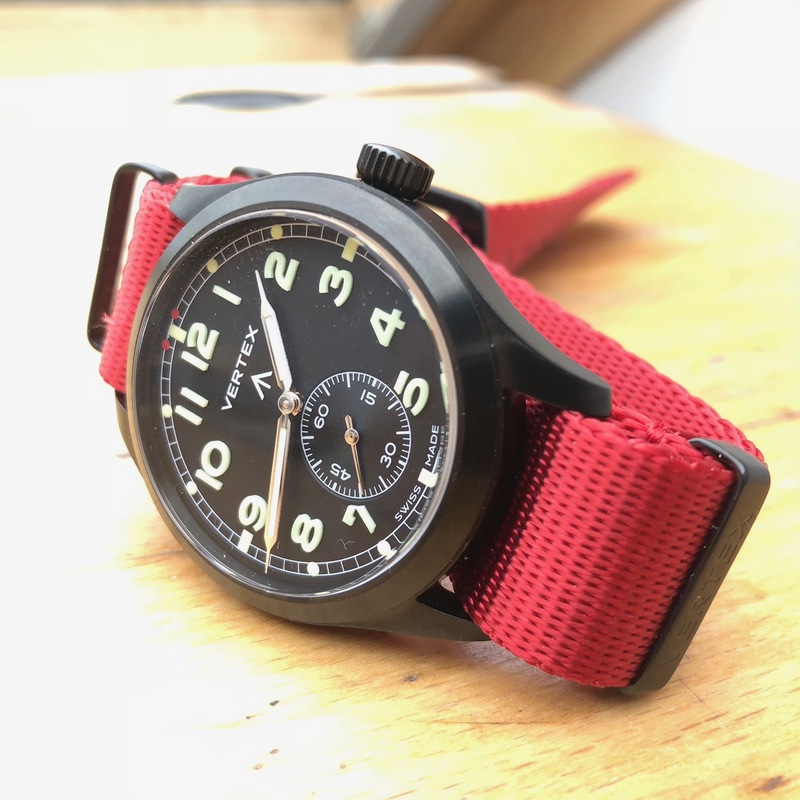 However, in 2013 he was pleased to resume manufacture of this standard strap for BREMONT along with the red stitch Martin Baker strap. 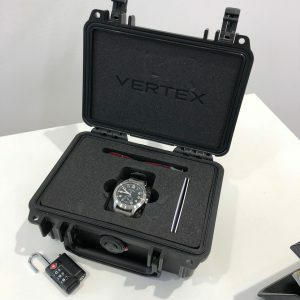 The MB1 watch and strap is only ever available to to ejectees that have used the Martin Baker ejection seats to escape their crippled aircraft. 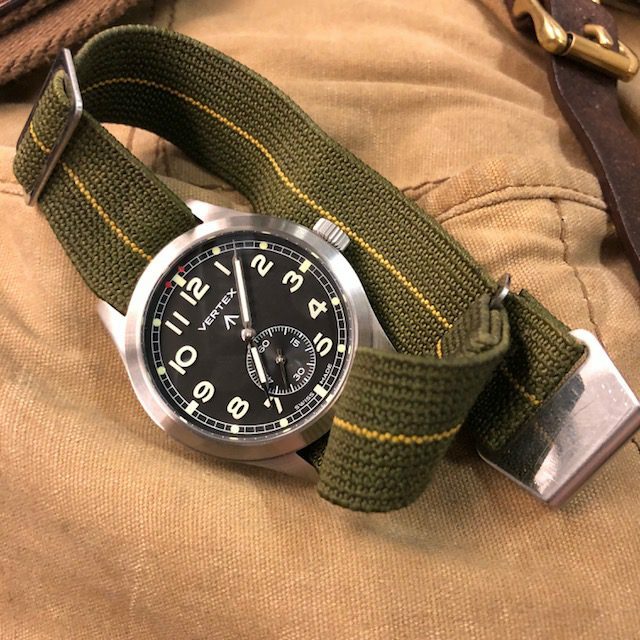 He is am also very pleased to say that he designed and manufactured the strap used by Bremont ambassador Gary Connery who became the first man to leap 2400 feet and land safely without using a parachute !! 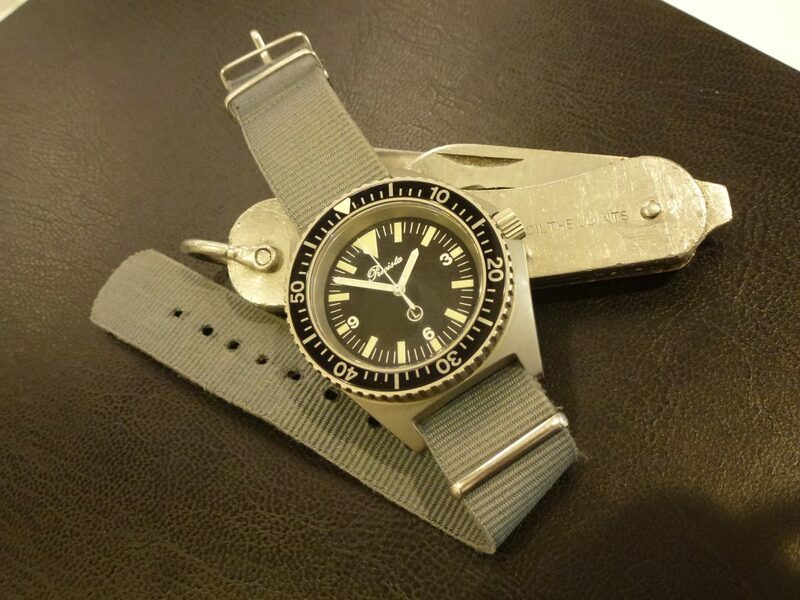 GasGasBones currently produce the nylon straps for three watch companies. 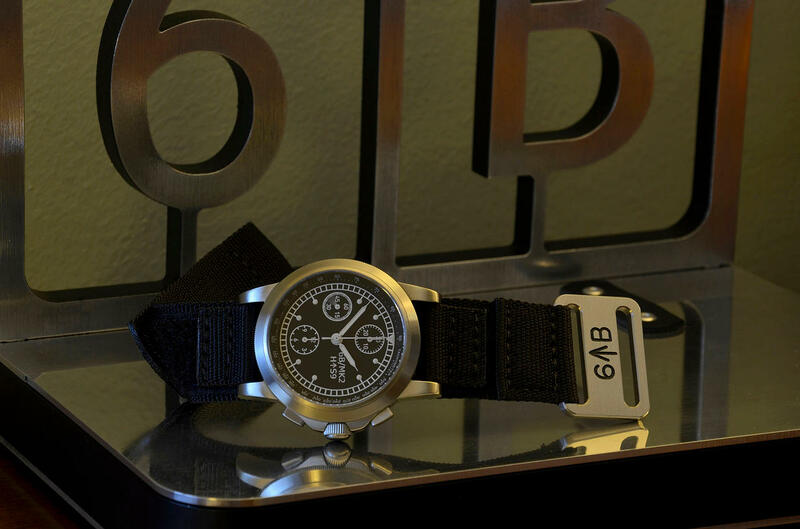 In late 2013 GasGasBones released my first watch, the 6B MK1 which is a military inspired mechanical chronograph. A limited edition of just 20 it sold out within three months. 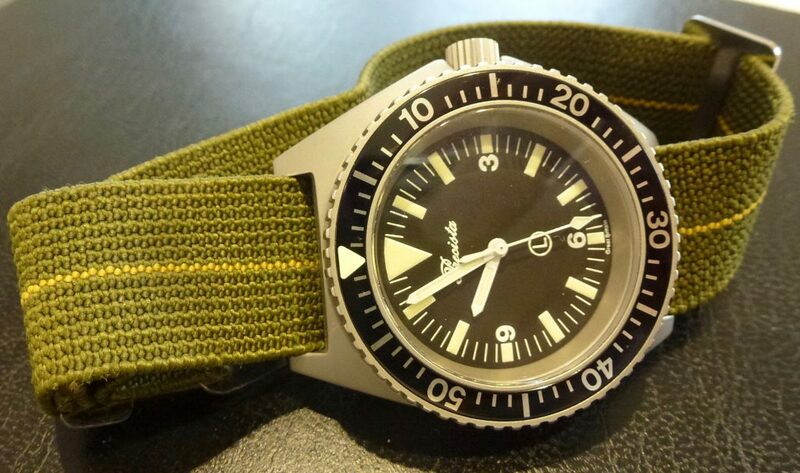 The success of the MK1 has gave the confidence to release a second 6B watch, the MK2 which is available now.